Home / ActioNet Culture / Taking Action on the Field! Taking Action on the Field! Did someone say ActioNet, Softball, and Teamwork? You heard it right here ActioNet is building Teamwork in the workplace and on the field. 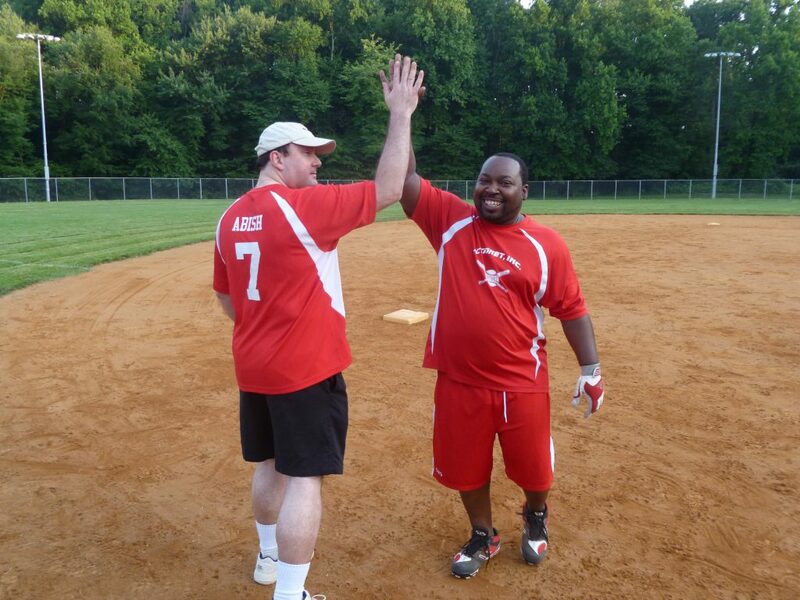 Spring is in the air and our Winning ActioNet Co-ed Softball Team is returning to the field for the 2018 Season as part of the Fairfax County Adult Softball League. Did you know this will be ActioNet’s 10th season in the league? It is time to dust off your gloves, start stretching and run some bases with Team ActioNet. We will play in the Fairfax Adult Softball league’s Co-Ed division, extending some of our business rivalries to the field. 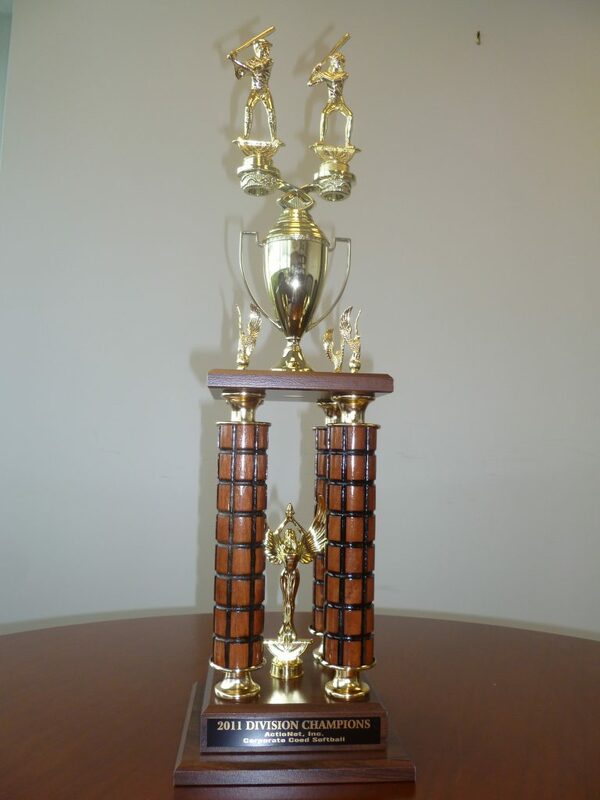 Our goal is always to win a championship. We work hard and play even harder, living up to our company mission by inspiring people to deliver results that matter. When you combine sportsmanship and work, results Actionly happen. When a task is handed to a well- and efficient team, the team’s work environment assures that the task will be completed, though Accountability, Communication, Team Efficiency, Innovation, Building Relationships, Networking and Pure Talent. Win or lose, we always end up with a team that competes and we have a blast while doing it. Why wait any longer? Come join our Spring Softball Team. We look forward to seeing you wearing Team ActioNet Red and hitting it out of the park!